Technology is currently evolving at an exponential pace and so are the methods which we use to keep this technology secure and prevent its misuse. Therefore different types of security equipment's and paradigm’s have been presented before mankind including the ancient PIN protection, fingerprint detection and nowadays retinal scanners are the main focus. Back in the days, such types of security equipment's could only be seen in Hollywood Sci-Fi movies but the time has come now and fiction has transformed into reality. 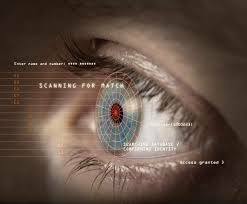 These retinal scanners work by detecting the unique pattern present in a person’s retina thus allowing the administrators to access their confidential areas very securely. Most of the experts in the said area believe that retina scanners are not dangerous in any way; in fact the light from the scanner falling on our eyes is of the same intensity as used by the ophthalmologists when they perform an eye checkup. Retinal scanners are even used by experts for the monitoring of various diseases usually hereditary and communicable ones. Besides that retinal scanners are gaining more popularity over the fingerprint sensors because of the fact that retinal pattern is the only thing that cannot be copied therefore retinal scanning is treated as the most secure security measure which is impossible to breach. 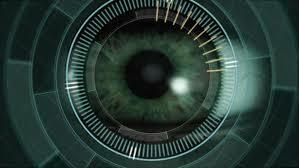 But it is essential to be aware of the fact that retinal scanners are not perfectly safe for frequent use. A report from the research conducted by SANS institute confirmed that the retinal scan users found this technology invasive and discomforting. A psychological state of fear with no hard scientific basis has developed among its users and they are of the view that these scanners damage the vision. It’s also worth mentioning that iris scanners which work on the principle of recognizing the grayscale photo of the iris are much safer to use as compared to retinal scanners.